This is part four and the final blog of my four-part series on the groups of tourist attractions that are the most popular in the Philippines. In parts 1, 2 and 3 of this four-part series, we looked at the best 8 beaches to visit in the Philippines in 2019. Then we looked at the top 8 volcanoes to visit in the Philippines and last week, we looked at the best 8 waterfalls. In the blog I wrote about the best beaches to visit in the Philippines, I made a disclaimer that I would not include Boracay or Palawan. The main reason for this is that everybody has heard of and knows about Boracay and Palawan and their wonderful beaches and other attractions. 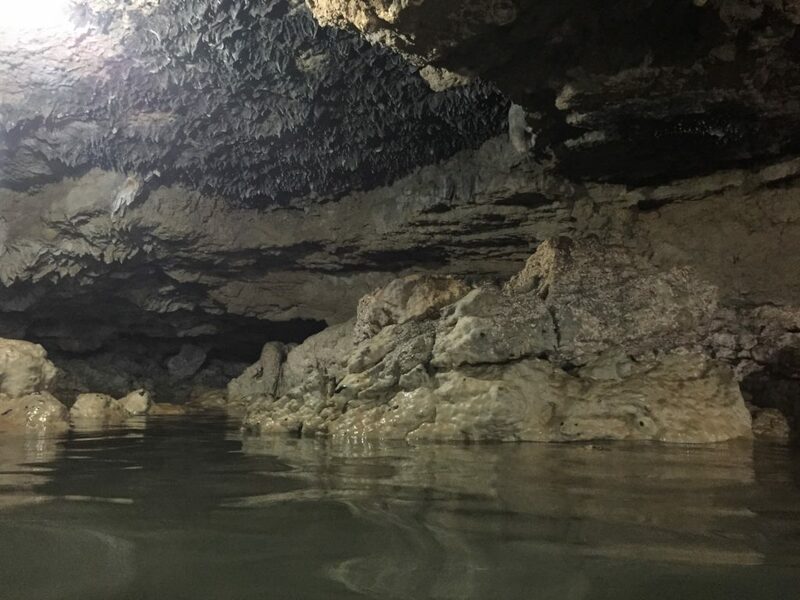 So in this blog about caves, I will also not mention the caves of Palawan, in particular, the underwater river in Puerto Princesa, as everybody knows this is one of the best places in the Philippines. I want to keep it off the beaten track with caves that are in places not many people have heard of. My other disclaimer is that caves listed here are not necessarily THE best in the Philippines, but are the best 8 caves I have physically visited. Just like my list of the best 8 beaches, volcanoes, and waterfalls, I have physically been to these places. This means I can speak from personal experience which is what all my blogs are about. So here we go now with the best 8 caves for you to visit in the Philippines in 2019 (in no particular order). 1). Calinawan Cave (Tanay, Rizal Province). 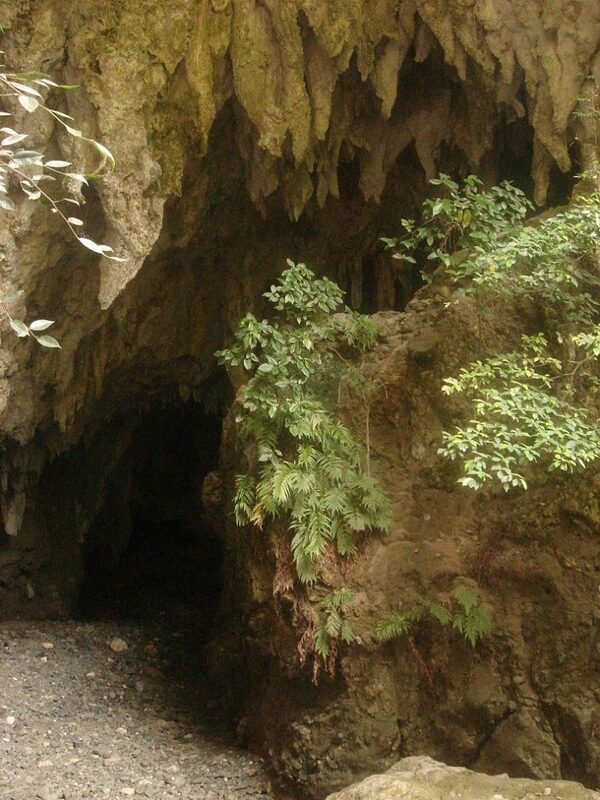 This is a privately owned cave that is open to the public for an entry fee of P20. This is a multi-level cave that has some spectacular rock formations inside, although some levels have been closed off. There is some historical significance with this cave in that it was used during the Spanish-American war as a hideout. It has also been used in the filming of the local television programs. You wouldn’t necessarily go to Tanay just to see this cave, but with Batlag Falls and Daranak Falls nearby, it is well worth a visit. Calinawan Cave is an absolute beauty. Now you can see why it is popular with TV shows. 2). Tali Cliff Jump Site (Nasugbu, Batangas). This is a sea cave and has been uniquely formed by the erosion of the surrounding cliff face. During high tide, the water goes right into the cave making it very unsafe to enter. However, during low tide, you are able to get access to the caves. The caves burrow into the cliff face about 10 to 15 meters, and the floor of the caves are from the beach sand. Perched above these caves is a spectacular residential house. There is some confusion about whether this is owned by former President Ramos or his lawyer. As such, these caves are also referred to as Ramos Caves. 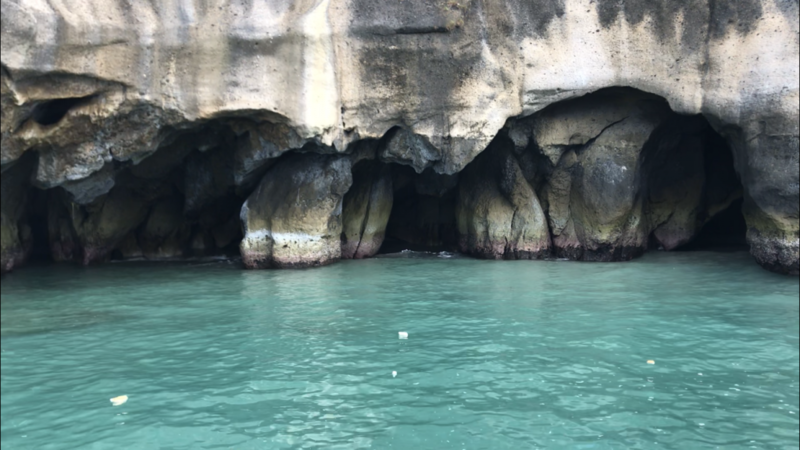 These caves are only accessible by the water, either via cliff jump site or boat. Once again, you wouldn’t make a trip just to specifically see these caves, but if you are in nearby Maya Maya, or the Nasugbu area and have access to a boat, then it is well worth a visit. Unfortunately, the tide was in here so it makes the caves almost impossible to enter safely. These caves are about 20 metres deep. 3). Biak na Bato National Park (San Miguel, Bulacan). 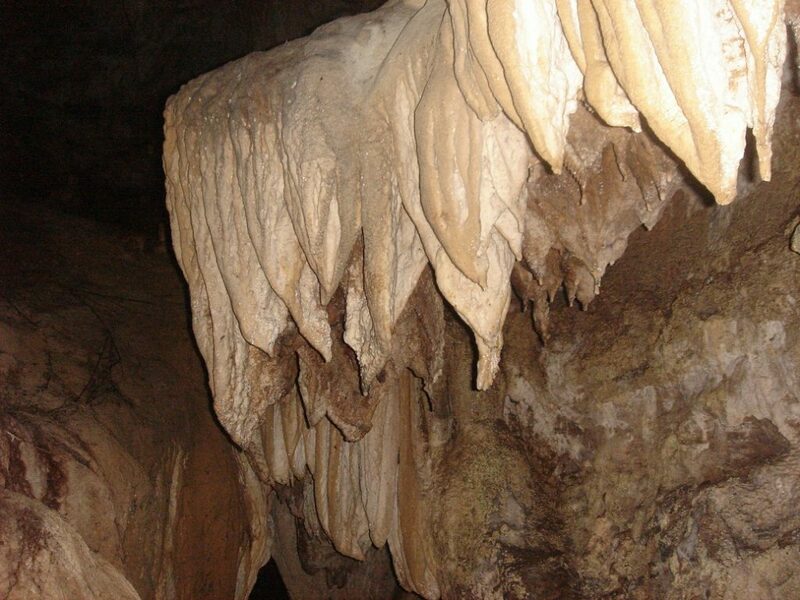 If you really are into caves then Biak na Bato National Park will be your heaven. I don’t know exactly how many caves are there, but I do know that it would take you virtually an entire day from sunrise to sundown to be able to see them all. There are so many types of types of caves here, it is amazing. They are mostly limestone caves and all have some amazing rock formations and come in all shapes and sizes. There are also a couple of underground rivers. There is a fantastic hiking trail that connects the entire cave network making it very easy to navigate your way around. Biak na Bato National Park is an absolute cave lovers paradise. There are dozens of caves with no two looking alike. Amazing spectacle. 4). Bulanbogang Underground River Cave (Caramoan, Camarines Sur). Caramoan is such an amazing place that really is underrated. I first went there in 2012 and I am still amazed that more people don’t talk about it. Aside from the amazing island hopping and beaches, there is also an underground river just out of town that is fun to visit. This is called Bulanbogang Underground River and is certainly not geared up for tourism on a large scale. However, they do have truck tire tubes that act as floatation devices and also life jackets. You are towed into the cave with the help of a guide and you go about 20 or 30 meters into the cave system before turning back. It is unique a unique experience and if you are in Caramoan, I would recommend you visit this place. 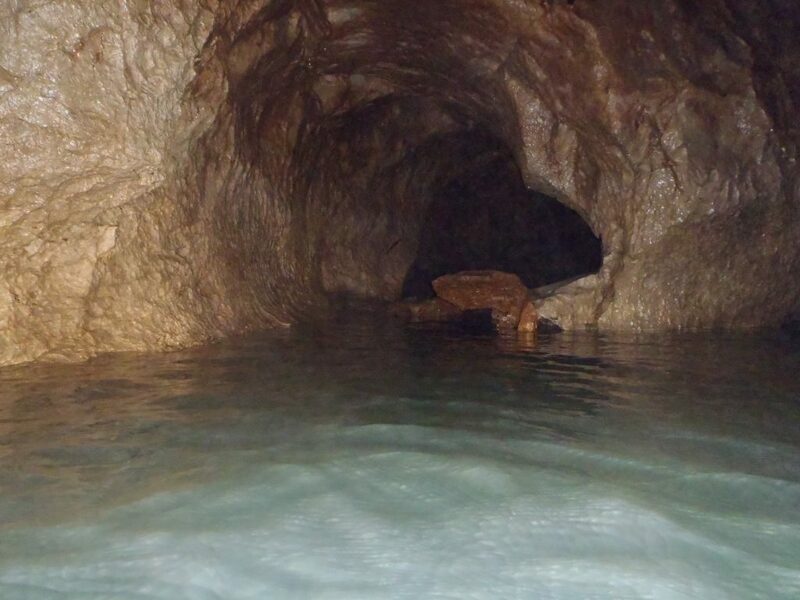 This underground river was a winding tunnel that went deep into the darkness. It was a pretty amazing experience. 5). Mamara Cave (Sipalay, Negros Occidental). This is a very large limestone cave that turns into a river during the wet season. However, when I visited I was very lucky in that the river was completely dry. 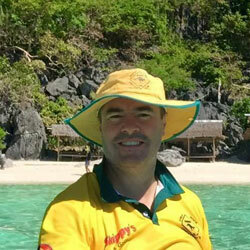 I was also quite fortunate in that I have a friend who works for the department of tourism in Sipalay. He was able to give me a personal guided tour of this cave. 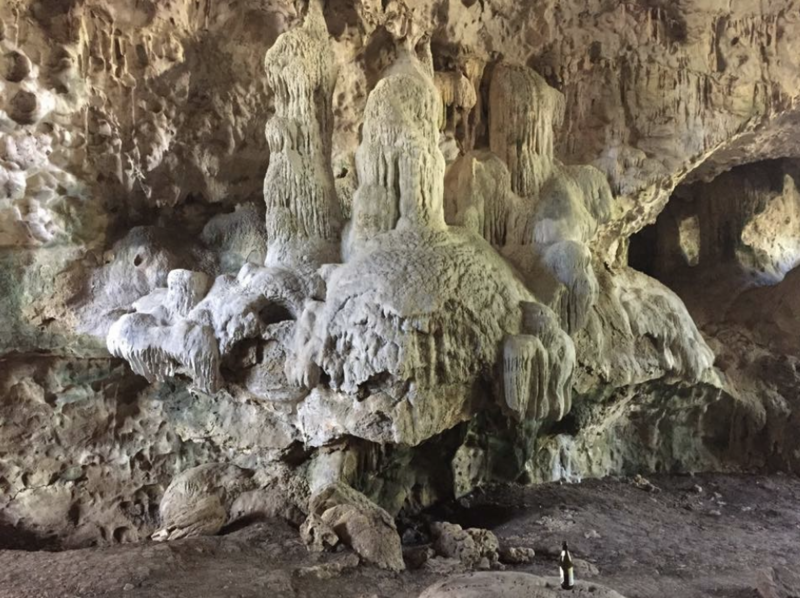 The cave has some spectacular stalagmites and stalactites, as well as flowstones and all the other rock formations associated with a limestone cave. The cave burrows itself into the mountainside for about 30 to 40 meters before it starts narrowing to the point where its hard to gain access. Sipalay really has a lot to do, so if you happen to be in Sipalay checking out some of the other attractions, then put Mamara Cave on your list. Mamara Cave is one of the biggest caves I have been in. This actually fills up with water during the wet season. 6). Cindy’s Cave (Bolinao, Pangasinan). There are actually three caves that I have visited in Bolinao. They are all located in pretty close proximity to each other. These are Cindy’s Cave, Wonderful Cave, and Enchanted Cave. All three of these caves are underground caves which have water inside them. All three of them have also been developed to make them safe for entering and swimming. Each cave contains steps into and out of the caves, ropes to hold onto in the water and even life jackets. I personally found Cindy’s Cave to be the best and probably the biggest of the three. This cave also contains some fascinating rock formations through years of slow erosion. 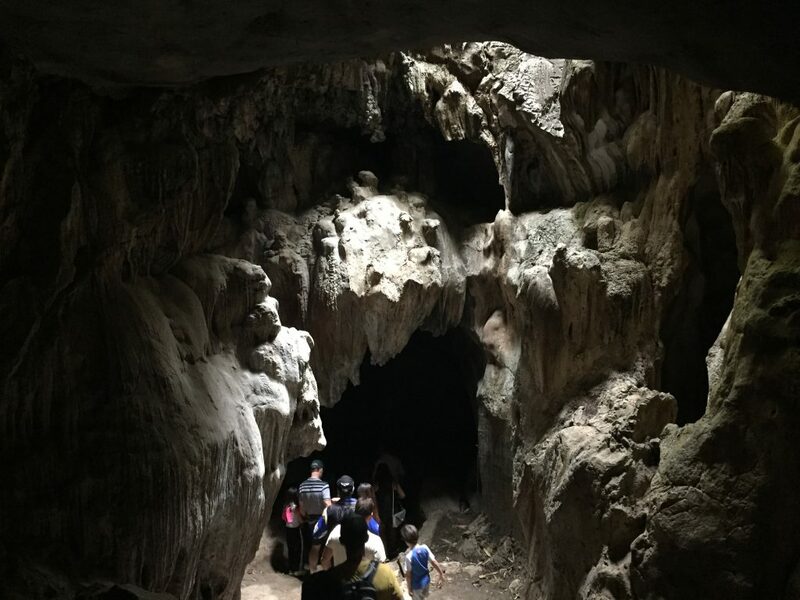 There are so many things to do and see in Bolinao with these three caves being one of the attractions. This is Cindy’s Cave which isn’t an underground river. The water leaks into the cave from the ceiling and walls. 7). Mystical Cave (Antipolo City, Rizal Province). Mystical Cave is a popular tourist attraction in Antipolo. It is said the water and stone inside the cave are able to heal sick people and protect you from harm. The cave is also subject to annual religious pilgrimages. This cave actually goes on for quite some time as it snakes its way around inside the limestone mountain. There is some artificial lighting inside which helps you to navigate your way around. This also helps you to be able to see some of the rock formations. The entrance to this cave is quite narrow but the rest of the cave is actually quite open and easy to walk around. This is also the type of place that you would visit if you were in the Antipolo area. Photos inside caves don’t often do justice to the amazing imagery you find in the dark depths of caves. 8). 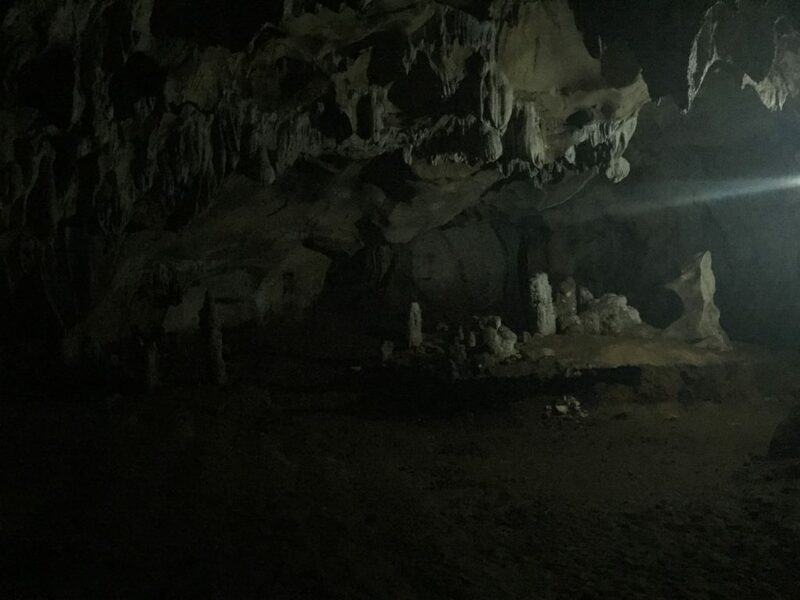 Binutusan Underground Cave (Sipalay City, Negros Occidental). I have already included a cave from Sipalay in this top 8, but I felt the need to include this cave as this was the most difficult cave I have been in. As a matter of fact, I would only recommend this cave if you are a real thrill seeker. For a start, it is basically a hole on the side of the road. You would easily drive past if you didn’t know where it was. Secondly, the entrance to the cave is like crawling down a manhole. Once you are a metre or two below the earth’s surface, the cave then angles to a more horizontal position. You then find yourself doing a commando crawl and then progress to your hands and knees. There are some sections in which you can stand up, but these are few and far between. However, the rock formations inside this cave really are unbelievable. You get to see the full spectrum of various stalactites, stalagmites, straws, and flowstones. However, as I mentioned, this is a very difficult cave and should only be attempted with a guide and if you are prepared to really get down and dirty. Considering you need to literally crawl through the entrance to this cave, what you are greeted with once inside is jaw-dropping. The Underground River at Mt. Daraitan is absolutely amazing. There is actually a waterfall inside the cave which feeds the Underground River. The water is crystal clear and so refreshing. Please watch my vlog by clicking below. In this vlog, you will get to experience entering the Ramos Caves at Tali Beach. These caves are spectacular if you get the chance to visit. Please click below and watch my video so you can experience these caves for yourself. Please check out the related articles below. Also, feel free to leave comments below and feel free to share this article with family and friends.